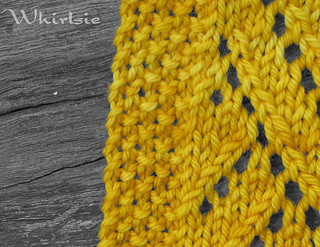 This pattern is NOW AVAILABLE and was designed for the Whirlsie’s Designs/Candy Apple Lane club in July 2015. You can preorder the ebook here. 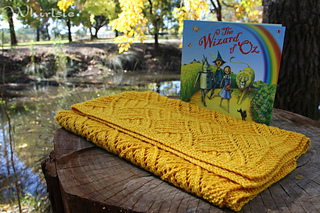 Please note that patterns will not be added to the ebook until the public release dates. 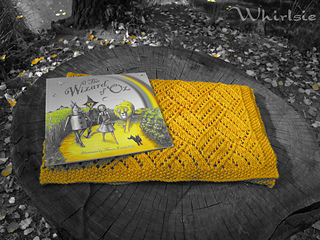 “The road to the City of Emeralds is paved with bright yellow brick,” said the Good Witch of the North. “So you cannot miss it, and when you get to Oz, please do not be afraid, but tell Oz your story child, and ask Oz to help you.” - The Wonderful Wizard of Oz (1900). 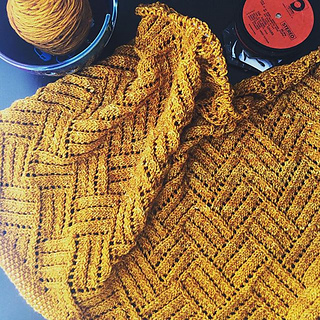 This baby blanket is a quick knit, using worsted weight yarn and 5mm (US 8) needles. 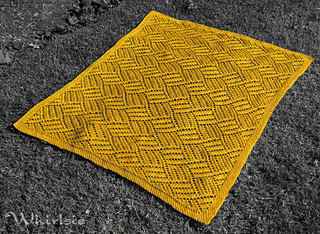 The brick-like pattern produces a lovely paved design reminiscent of the Yellow Brick Road and has a moss stitch edge. 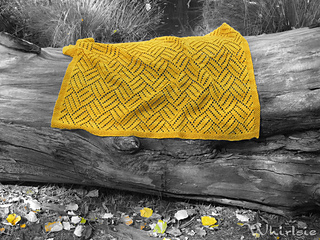 The gorgeous yellow shows off the lace pattern and creates a stretch to the fabric so that it can be blocked to a larger size if required. 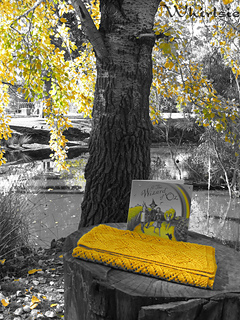 The repetitiveness of the design means you can easily add length to the blanket if you wish.